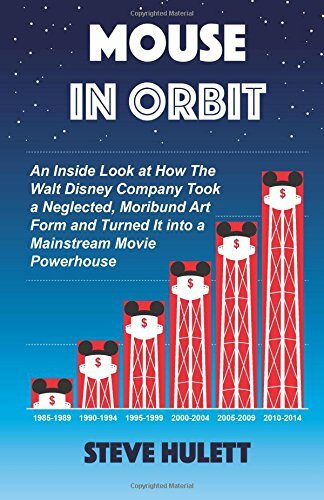 In Mouse in Transition, the prequel to this book, Steve Hulett told the story of his ten years at Disney Feature Animation. Now Hulett recounts his next twenty years in the animation industry: as a union representative for the Screen Cartoonists Guild. When, in 1989, Hulett was elected as the business represenative of the Motion Picture Screen Cartoonists, Local 839, IATSE, he may have discounted the stereotype of vulgar, cigar-chomping, two-fisted union negotiators pitted against merciless, reptilian corporations. Steve Hulett was plunged headfirst into the ferment of the animation industry as it strugged to evolve from paint to pixel, penury to prosperity. Digruntled animators, deceitful executives, hard-nosed union guys from "back east", and a cutthroat us-versus-them culture combined into a titanic, at times existential clash in which Hulett fought daily to wrest from Disney and other studios fair wages and fair benefits for the screen cartoonists in his union. Along the way, Hulett recounts from his insider's perspective the rise of the Los Angeles animation industry, spearheaded by Disney, from a sleepy backwater to the multi-billion-dollar industry of today.